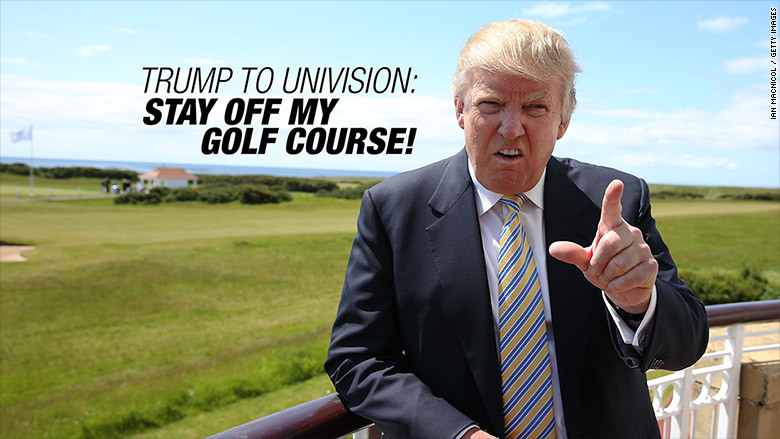 Donald Trump's fight with Univision is heating up. On Friday he published an anchor's personal phone number, called for the resignation of a top executive and banned all of the channel's executives from using Trump's golf course in Miami. "Under no circumstances is any officer or representative of Univision allowed to use Trump National Doral, Miami," the letter read. Trump added a P.S. : "Please congratulate your Mexican Government officials for having made such outstanding trade deals with the United States. However, inform them that should I become President, those days are over." Trump also posted a personal hand-written note that Univision correspondent Jorge Ramos had sent him requesting an interview. The note included Ramos' cell phone number. Univision fired back on Friday, sending out a memo to its employees that they "should not stay at Trump properties while on company business or hold events/activities there." The war began after Trump made offensive statements about Mexicans, including calling them "rapists," while announcing he was running for president. In response, Univision, the largest Spanish language network in the country, broke off its deal to air the Miss USA Pageant, which is partially owned by Trump. Trump also lashed out at Univision President Alberto Ciurana who apologized to Trump after he posted a photo comparing Trump to the Charleston gunman who killed nine people. "Apology not accepted," Trump wrote. "I call for his resignation as president of Univision and Univision should not be allowed to host the Presidential debate. It is a total conflict of interest." 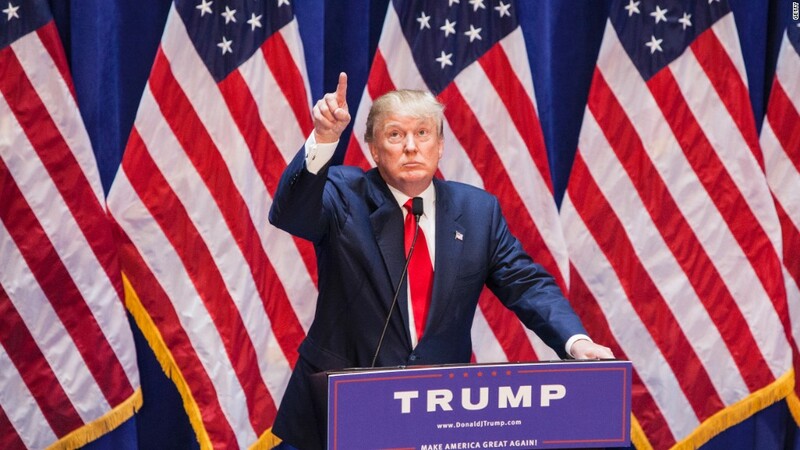 Univision plans to hold a presidential forum. In an interview with CNN's Erin Burnett Thursday, Trump called the photo that Ciurana posted "disgraceful." "When he put that up, he then took it down... he's got tremendous liability," Trump said.